Already the sixth week of this revised OCBP ! It is proving very popular and is much easier to keep up to date with. I have located my photo collection from 1998 when I started with Digital. It is now over 20 years from my first efforts and approaching 20 years since I took over the OCBP from David Root who had started the Oxford Bus Page as a student at Hertford College. A particular difference is the size of the images one now takes with 8 or 9 megabytes as the norm from 20 years ago was 281 kb with a size of 1280x1024 vs 4592x3548 now. It allows much greater scope for editing ones pictures. Internet speeds have improved dramatically and one can download a page in short order compared to 1998. 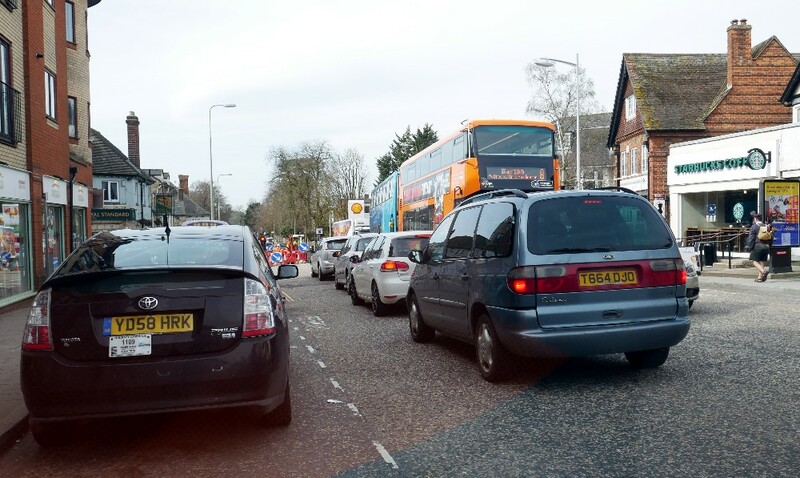 I spent a few hours in east Oxford last Friday morning and noted how delayed traffic was in Headington due to major roadworks on London Road below Headington shops into Oxford. This certainly was resulting in long queues in both directions and it was also affecting Windmill Road with quite some delays heading up to the lights on London Road. One has to sympathise with the bus company drivers who have a hopeless task in trying to keep to time. The single alternate file traffic by the Shell garage on London road - April 6th by Malcolm Crowe. Heading for the seaside, Blackpool has a lot to offer. 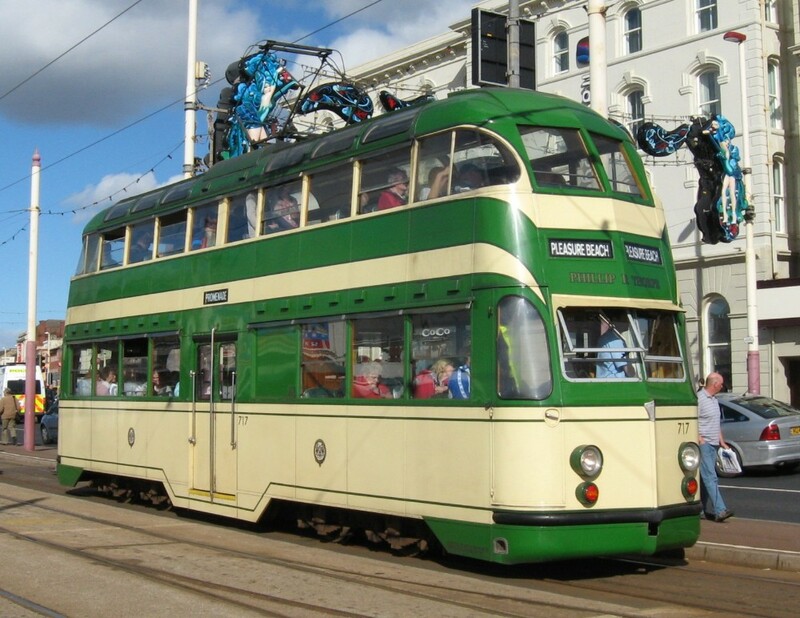 Blackpool Heritage tram 717 trundles along the prom on April 3rd by Geoff Cunliffe. They were the latest in the streamlined family introduced by General Manager Walter Luff in 1935 as part of a revolutionary five year modernisation plan which saw 116 brand new trams introduced. A number of these trams, double deck and single deck are still offering rides at certain times in the resort. This gives the full programme of planned Heritage tramcar operation for the season which increases year on year. Possibly the best time is the Tram Sunday weekend, 14th & 15th. July, when there will be a 20 minute Heritage tram service right through to Fleetwood from 10am to 5pm. Bryan Lindop, who is Director of Heritage, is doing a spectacularly good job at ensuring the new Bombardier Flexity-2 fleet does not result in the traditional trams being forgotten. Looking through my old photos from 1998 I came across a few gems which I will publish from time to time. Here is a taster from my library. 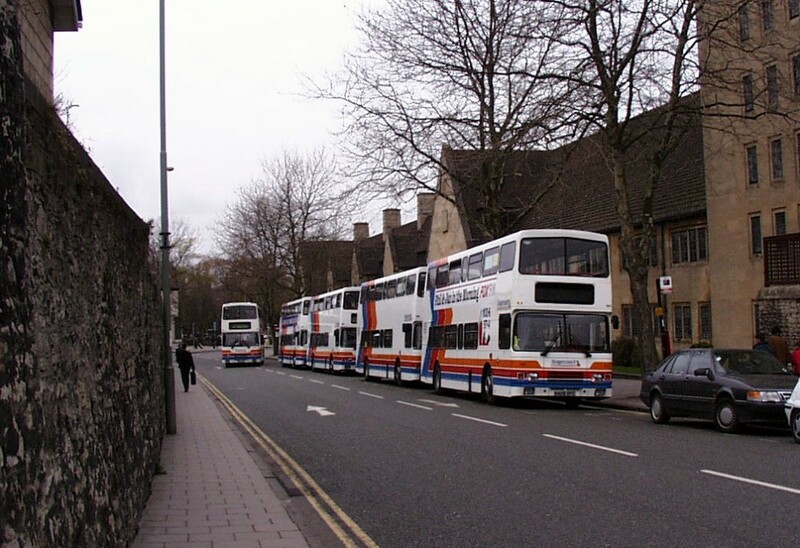 Stagecoach Oxford's Olympian "parade" in New Rd Oxford on March 21st 1998 by Malcolm Crowe. An interesting fact was that the first batch 501- were Falkirk built whereas the dual door ones, 514-526 were Belfast built and at the time rated not as good as those from Scotland. These were comments passed by those involved in maintenance and I am not qualified to agree or disagree! These in the line up were, I think, all dual doors and delivered in January of 1998 and therefore very new when the picture was taken. Initially they were mainly used on Oxford routes before being transferred to Witney for the 100 route and exchanged for single door 501-513. Subsequently they were numbered 16501-16526 in the national numbering system. 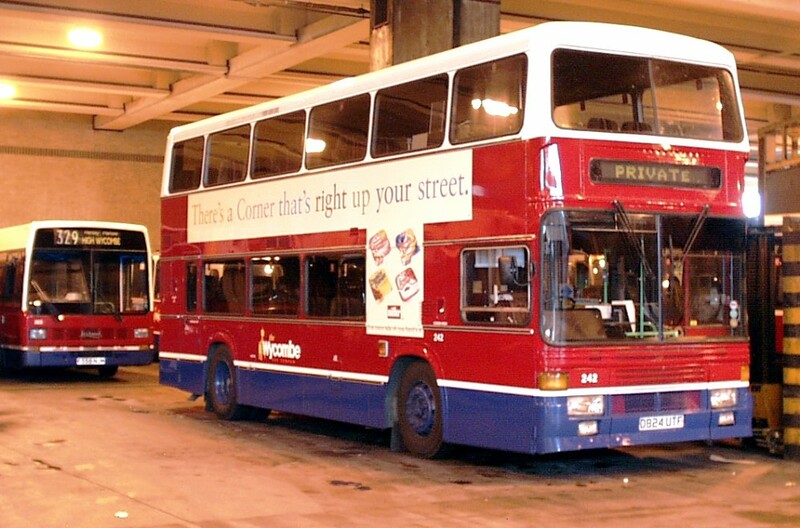 As an aside present readers may remember 16523 and 16524 (tacho fitted) being used on Megabus relief services to London back now some 10 years ago or so. They were still really good buses and I enjoyed some excellent runs with 16523. The earlier batch were delivered in September and October of 1997 where as the later batch arrived in late December 1997 and January 1998. 501, the flagship of the Olympian fleet works the 100 to Witney on April 18th 1998 by Malcolm Crowe. 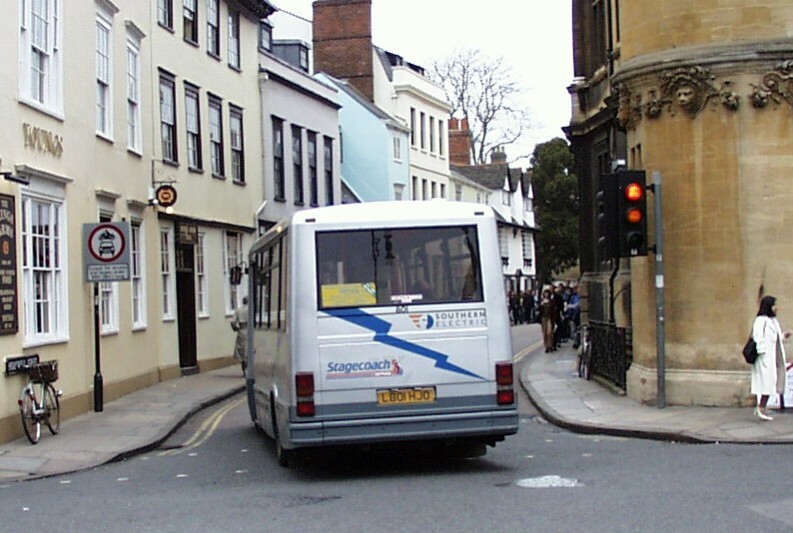 Another episode in Oxford in the late '90s was the trial of electric buses. The base was the then popular Metrorider and these were fitted with electric motors and trialled in conjunction with Southern Electricity. 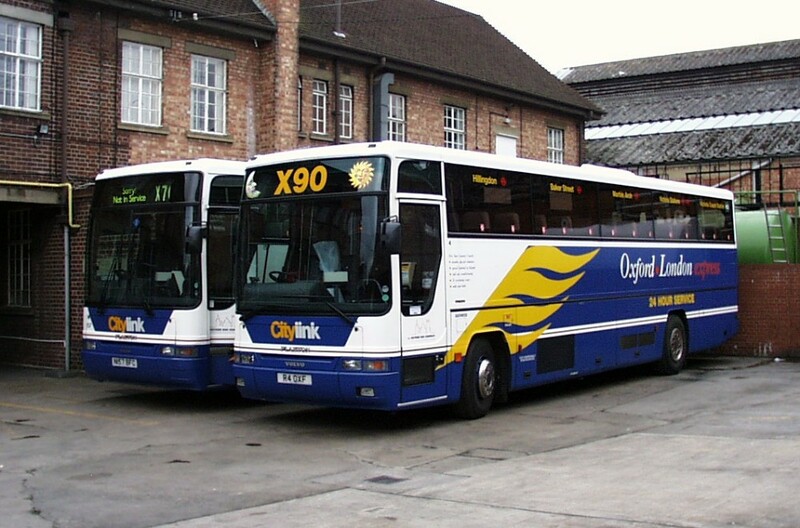 They first operated for City of Oxford and later by Stagecoach. 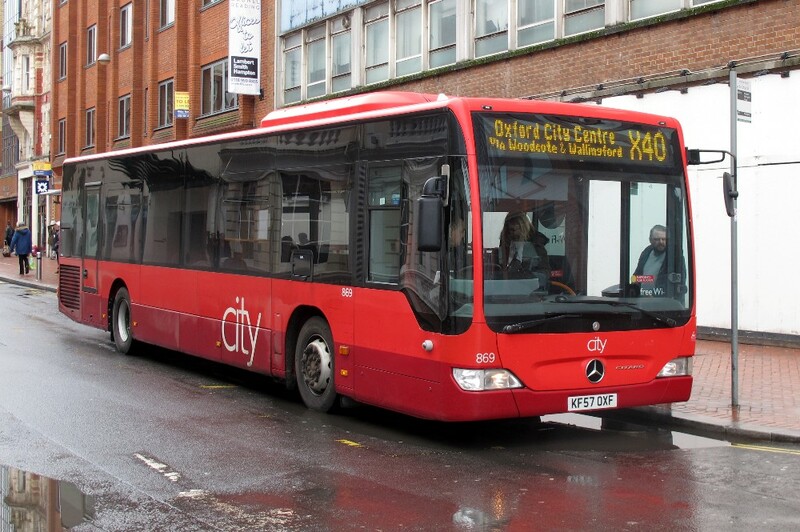 They operated a route from the station via the city centre know as the City Circuit and there were five buses in total. 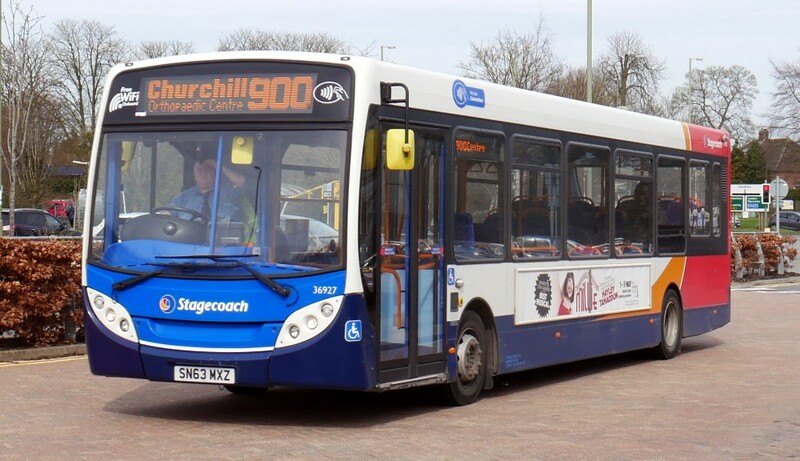 My pictures show them in use with Stagecoach who used the corresponding fleet numbers with the registrations. 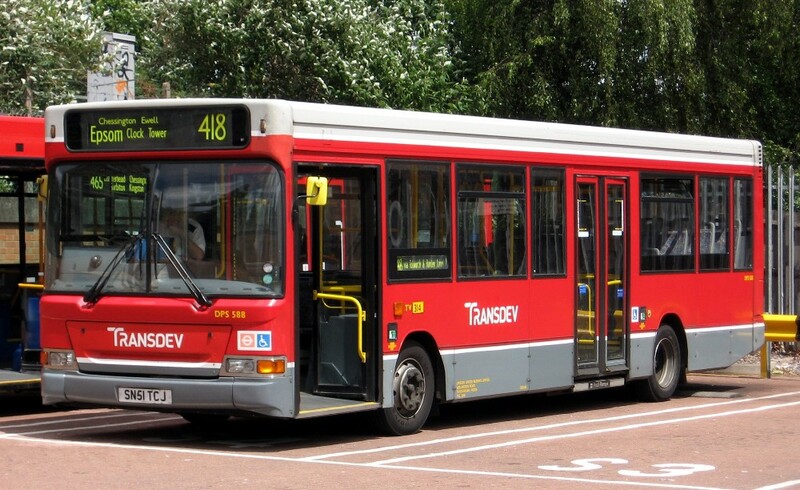 Whilst the principal was good and would now be very acceptable and praiseworthy, they suffered from a lack of performance mileage wise and some were last heard of in the Channel Islands but were not, to my knowledge, used as electric buses. SCO 804 L804HJO on the 5 in George St on March 28th 1998 by Malcolm Crowe. I remember them sounding like a milk float!! 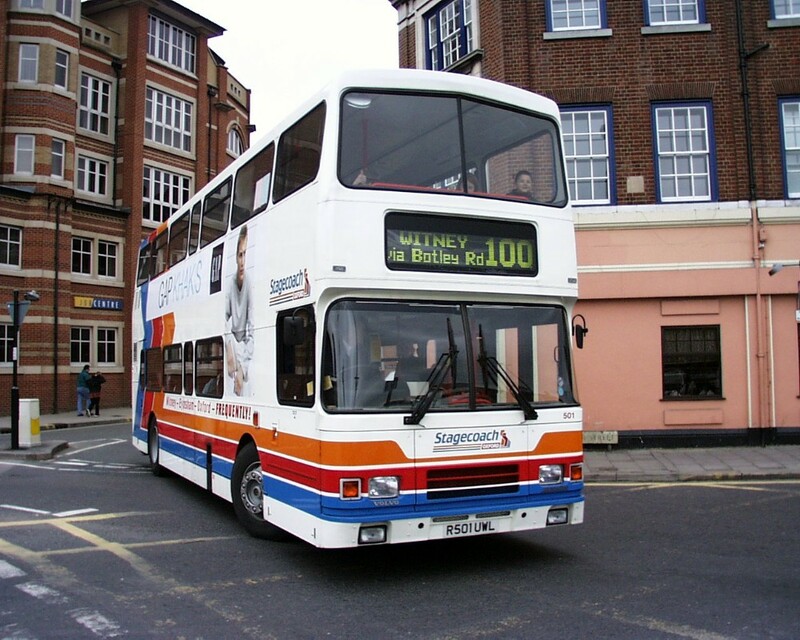 801 L801HJO on the 5 heads into Holywell St, again on March 28th 1998 by Malcolm Crowe. They had special dispensation to use this road on the circuit of the city. 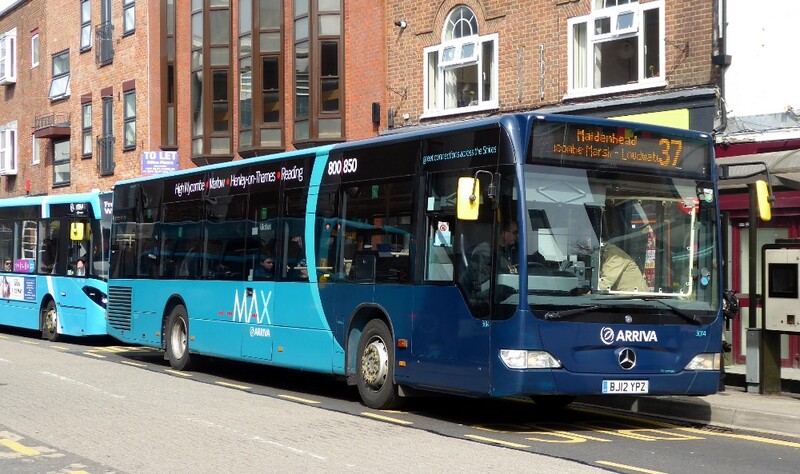 a former United Automobile and later Devon General bus seen in Wycombe on March 26th by Malcolm Crowe. 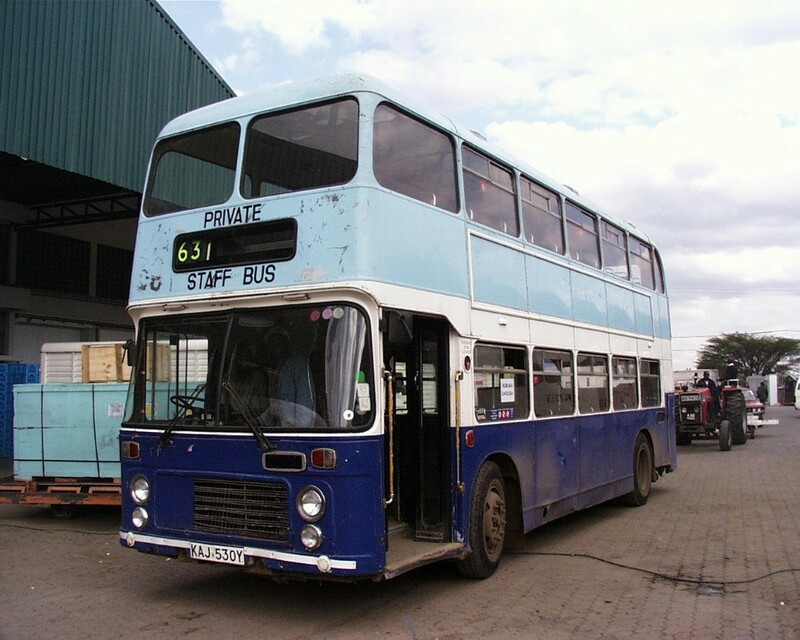 Another Homegrown Bristol VR this time KAY530Y seen in September 1998 by Malcolm Crowe. I hope that readers will have enjoyed this reminiscences and if so I will add a small selection each week in the future? Gavin Francis has been in Wycombe and taken some useful and interesting pictures. 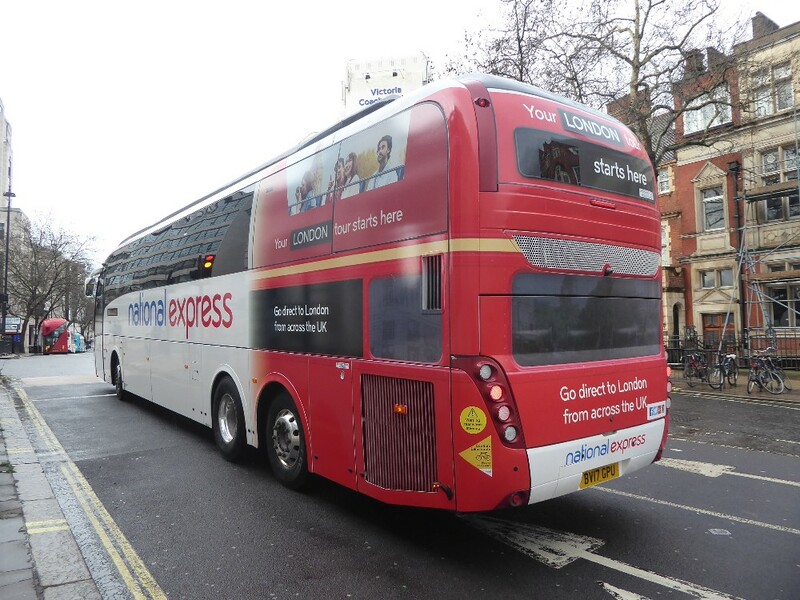 One continuing matter is the use of branded buses on anything but the branded routes. Surely it would be better to save the money and just present a clean bus with good destination indicators? Arriva 3014 r 37 Wycombe 060418 G Francis. I was also in Wycombe and secured a few interesting pictures. 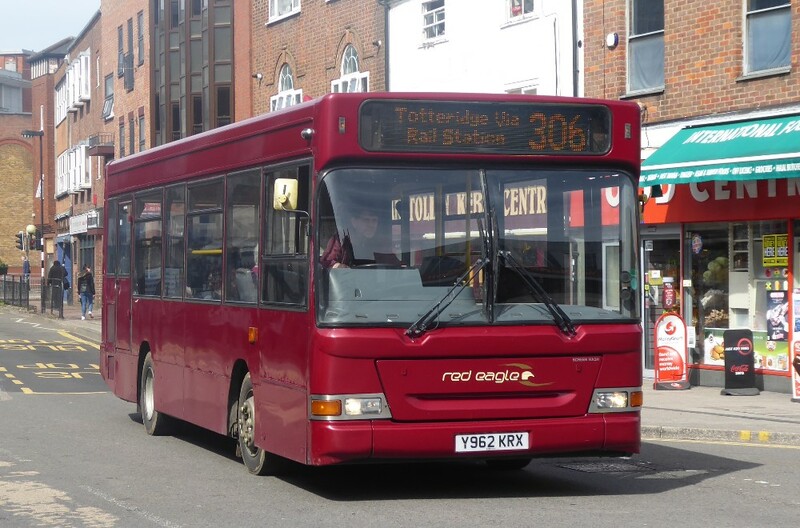 Tonty Bungay sent an interesting picture from Aylesbury of a bus referred to in recent issues. 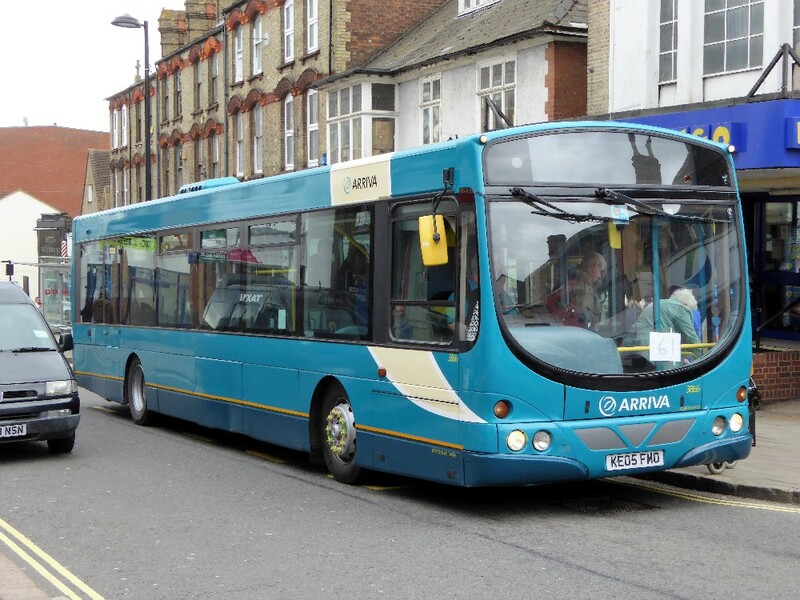 Finally to wet the appetite of those with local interests in Arriva and its forerunners in days gone. Just over 20 years ago I caught this Leyland Atlantean in an overall livery. 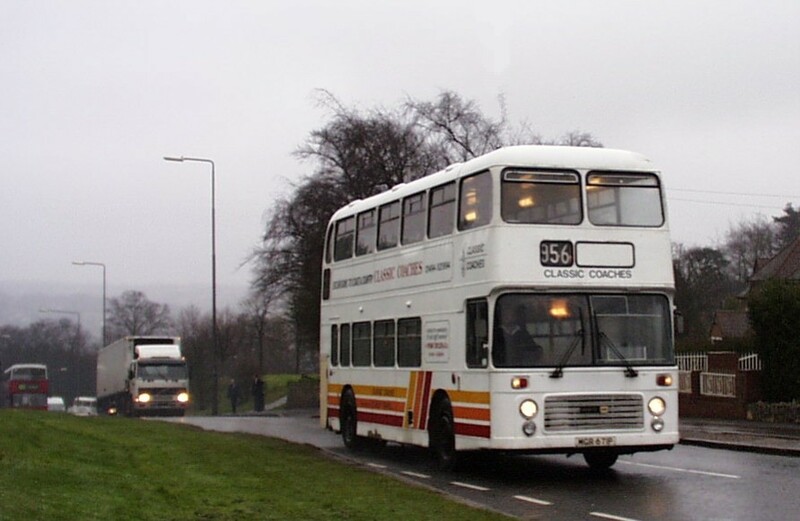 A Leyland Atlantean, once with Ribble in Carlisle and other owners, 5045 once AN245 is TRN477V working the 348 down Amersham Hill on March 28th 1998. 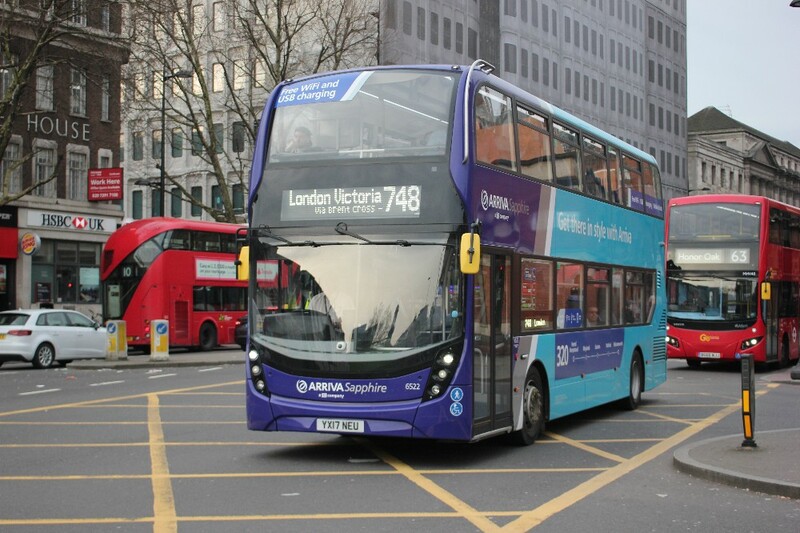 320 branded ADL-E400 MMC is seen working a 758 service in London on Elizabeth Bridge , the date April 3rd by Gavin Francis. Seemingly not unusual, working a Commuter service, the 0700 from Hemel, 6522 is caught on camera by Glenn Dinsdale near Kings Cross on April 6th. I suspect the ladies commemorated by name on the new Van Hool coaches are not best pleased at the moment. I wonder? 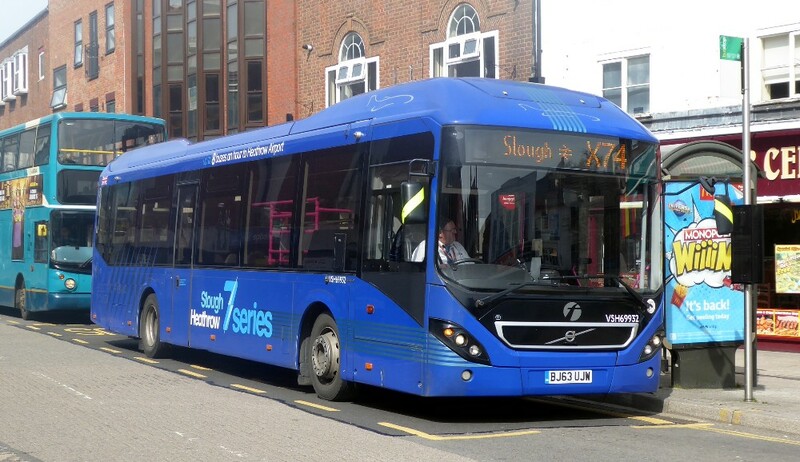 Hybrid Volvo VSH69932 BJ63UJW seen working the X74 in Wycombe en route to Slough on April 6th. 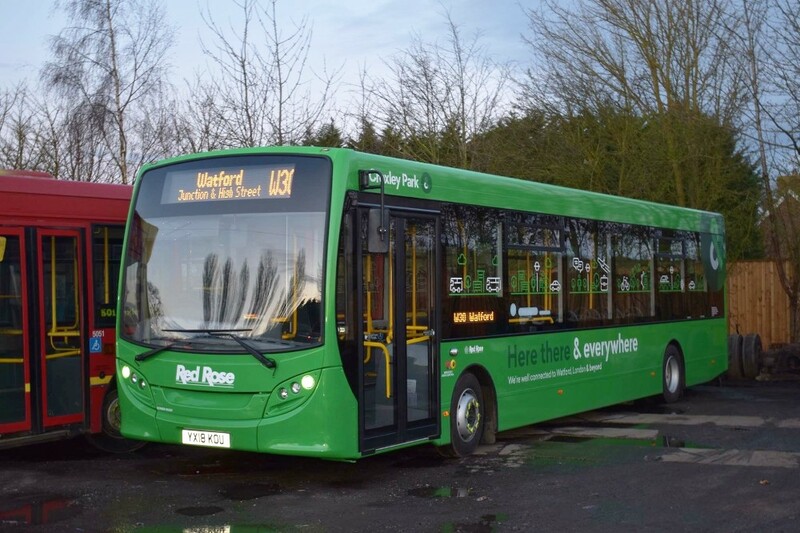 Travel De Courcey MD40 BV17GPU with new RM wrap on April 2nd by Gavin Francis. 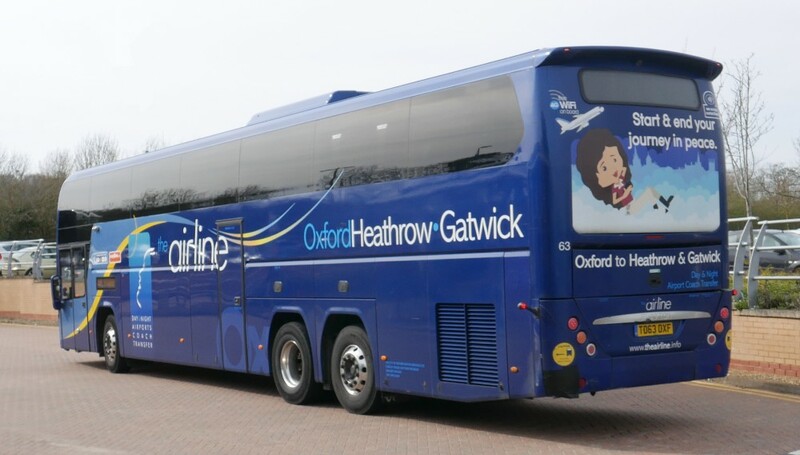 One could expect to see this coach on the M40 passing through our area. 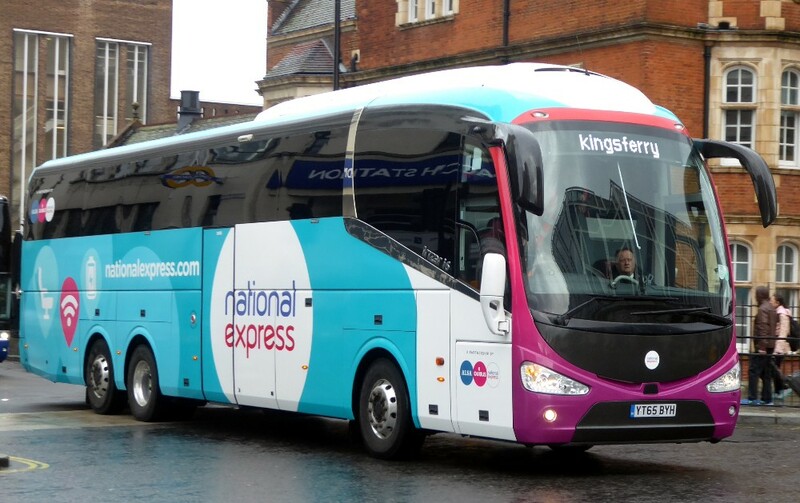 Another UK coach in National Express-Ouibus livery Kings Ferry YT65BYH on April 2nd by Gavin Francis. 829, 830, 835 – all parked at Wallingford today with City on the front. These were not in the yard on my last visit. Thanks to Ralph Adams for this update. 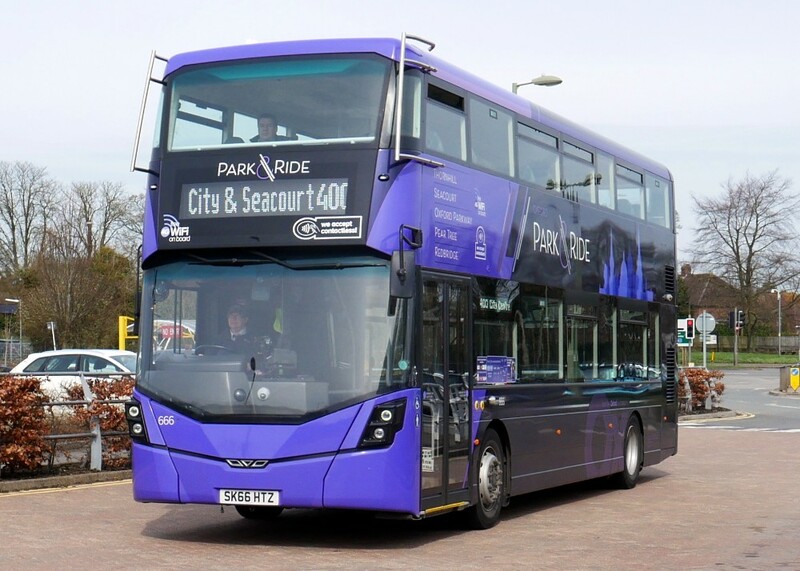 Ralph Adams and Gavin Francis advise that 662, still in P&R purple livery but all reference to Park & Ride has been removed except the Oxford skyline. It is in use on X3/X13. Again another operator who is using non branded buses on routes where branding is applied to normally rostered buses. 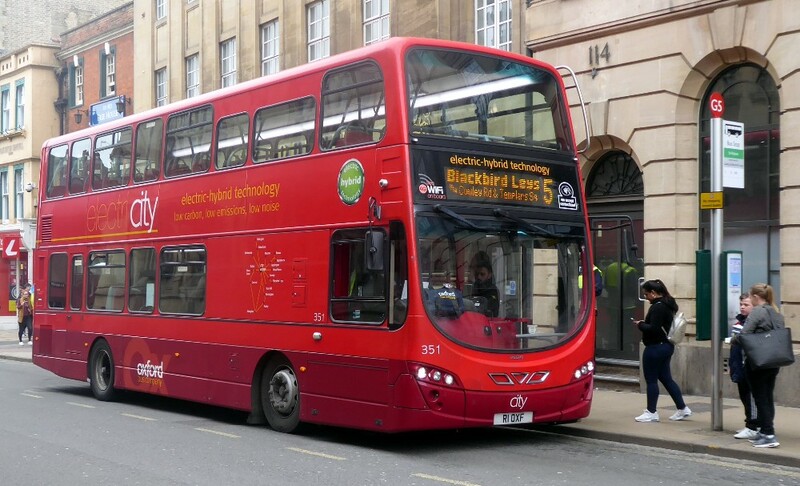 Hybrid 351 works the 5 in St Aldates on April 7th by Gavin Francis. Coach 25 enters Thornhill Park & Ride on April 6th by Malcolm Crowe. Note the easyBus logo. 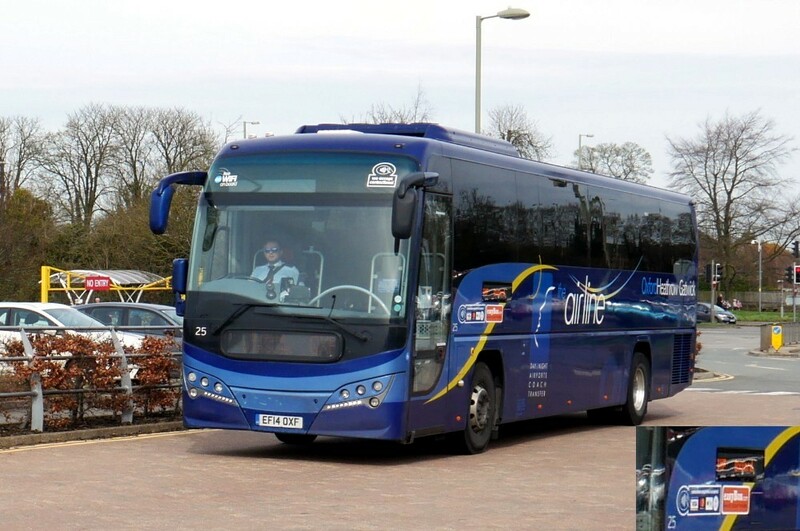 Coach 63 at Thornhill Park & Ride on April 6th by Malcolm Crowe. Note the easyBus logo and the attractive graphic on the rear. From Days Gone By Volvos 157 and 4 at Cowley Rd depot on April 18th 1998 by Malcolm Crowe. The livery looks modern even 20 years later and the visuals depicting the sun and moon to represent 24 hour service is most effective. Their are some variations in the destination displays on these buses for readers to look out for. 666 enters Thornhill Park & Ride on April 6th by Malcolm Crowe. Branded 686 works the 8 into the City on April 6th by Malcolm Crowe. Back in the day Wycombe Bus then part of COMS had the three Olympian ECW double deck coaches used on local routes. covering problems with the Cambridge Coach Services Volvo coach which caused the change at Wycombe on the journey to Oxford and back to Wycombe. 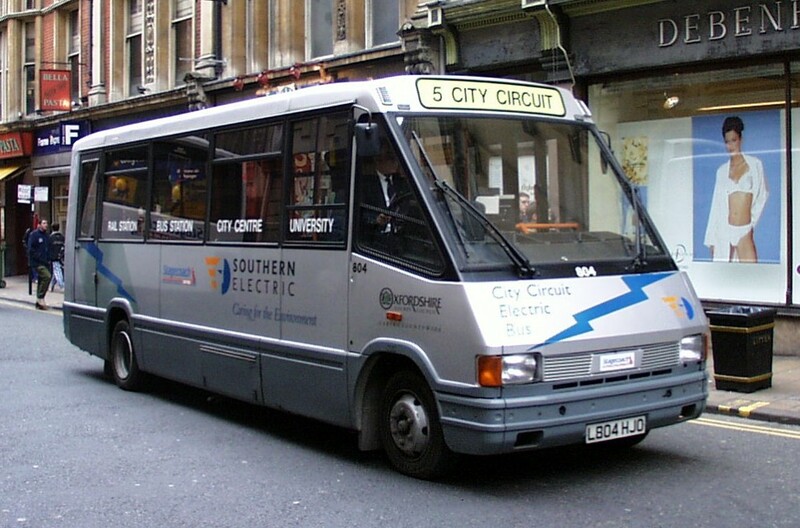 In the later part of the 1980s COMS had a number of buses decked out in full advertising livery. 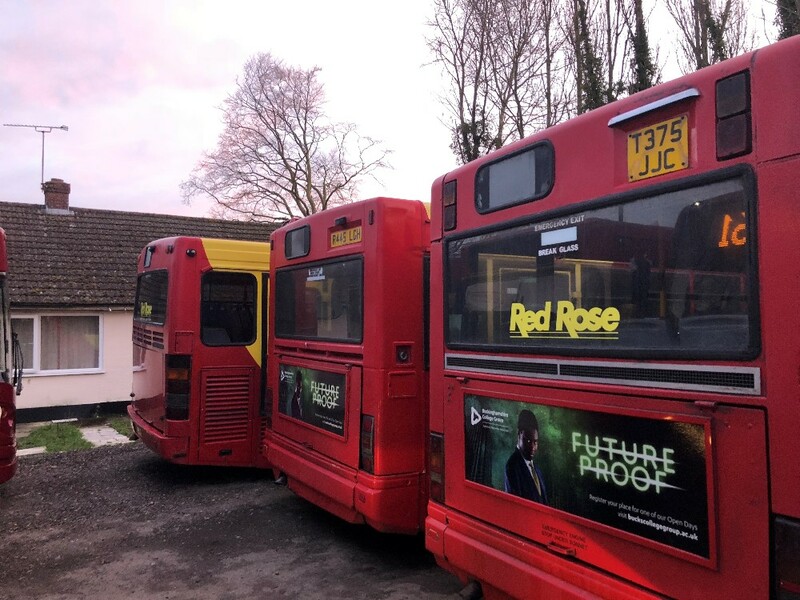 The buses were painted and sign written in house by the advertising contractor. No vinyls in those days!! 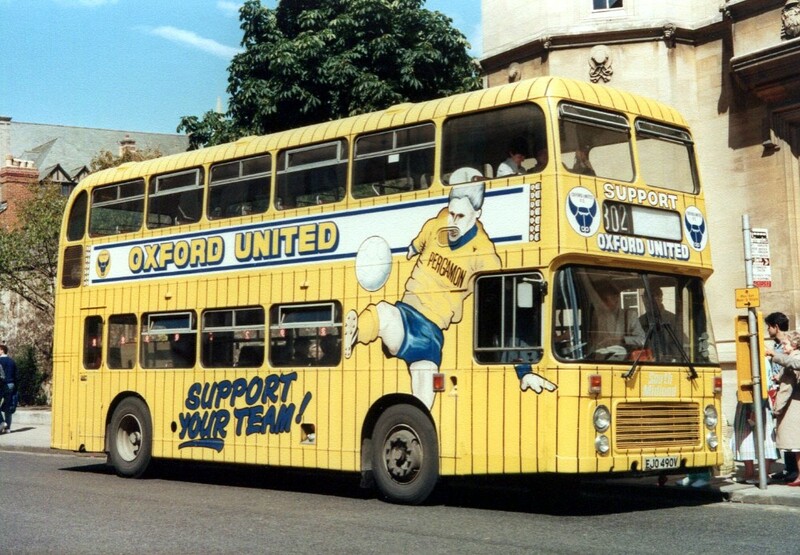 Bristol VR 490 EJO490V supporting Oxford United in 1986 by Nigel Lukowski. If you look at OCBP 108 (Go-Ahead) you will find a picture of this bus with Homegrown in Kenya. 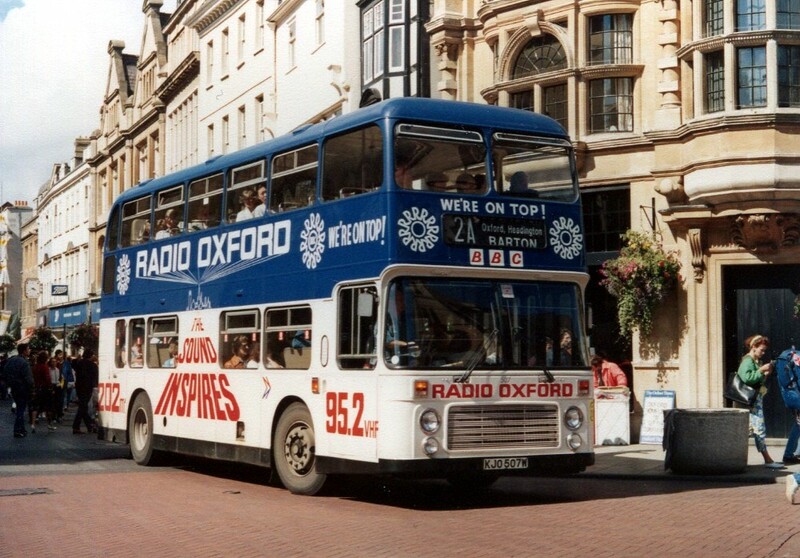 Here is 507 advertising Radio Oxford on the then through route 2 from Kidlington to Barton. 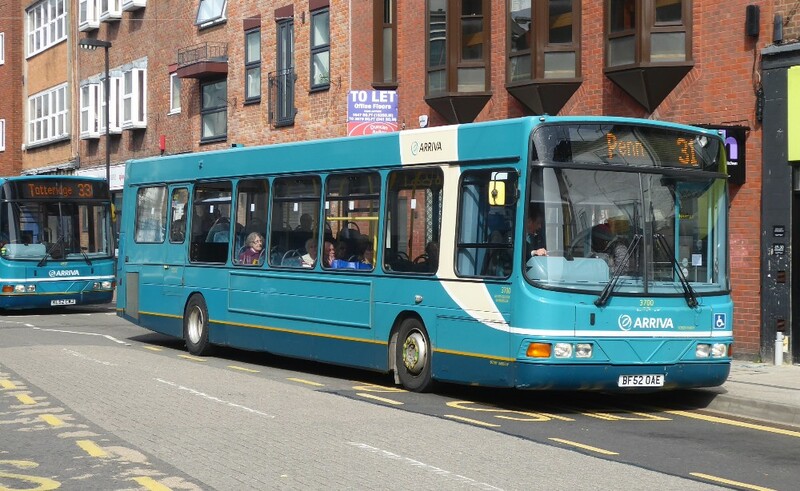 Ralph Adams advises that new services BB5 (a.m.) / BB7 (p.m.) are starting on 16 April, mainly for school children to Chilton and subsidised by County Council. This requires one extra bus. 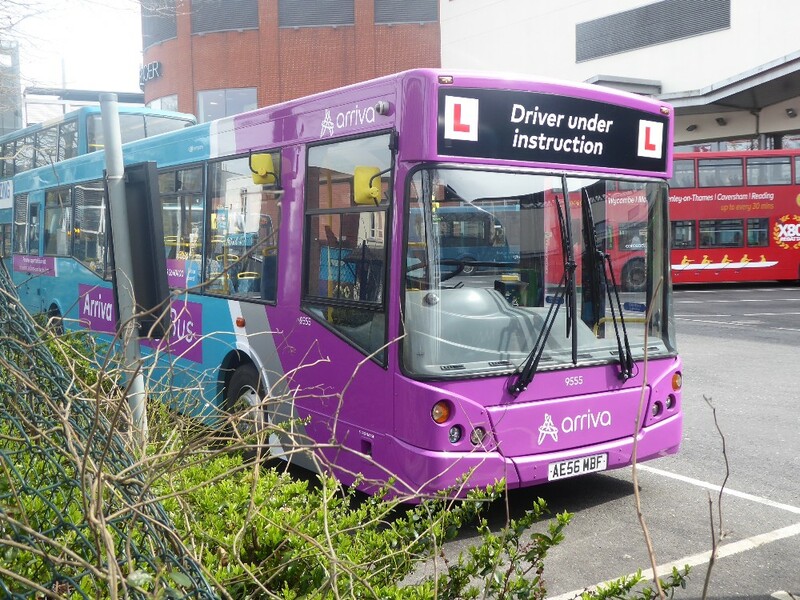 Is this why the three Citaros above are here – but only one is needed? Find out more in 10 days time. 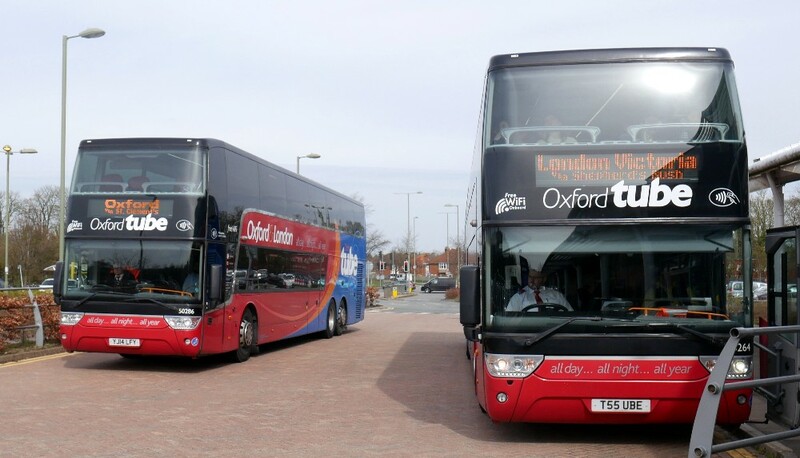 Is it an Oxford bus on loan or a Thames Travel bus? 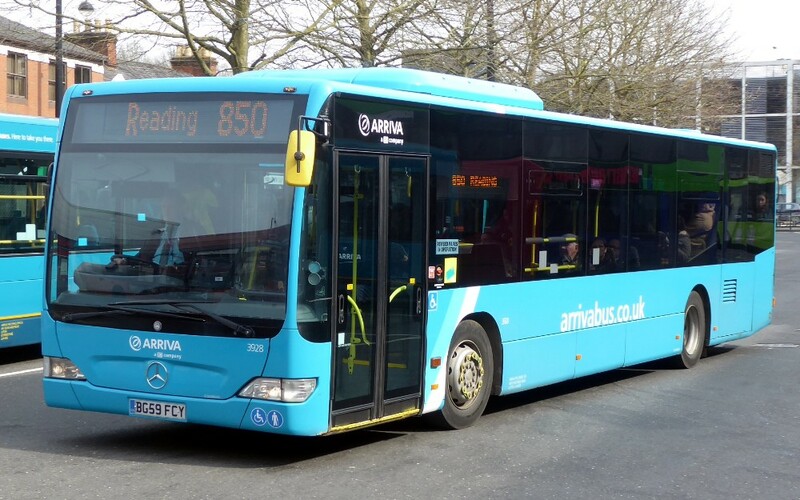 869 is seen working the X40 in Reading on March 27th by Bob Morley. Thanks to Bob Morley for two more interesting working on the Jet Black service 1. 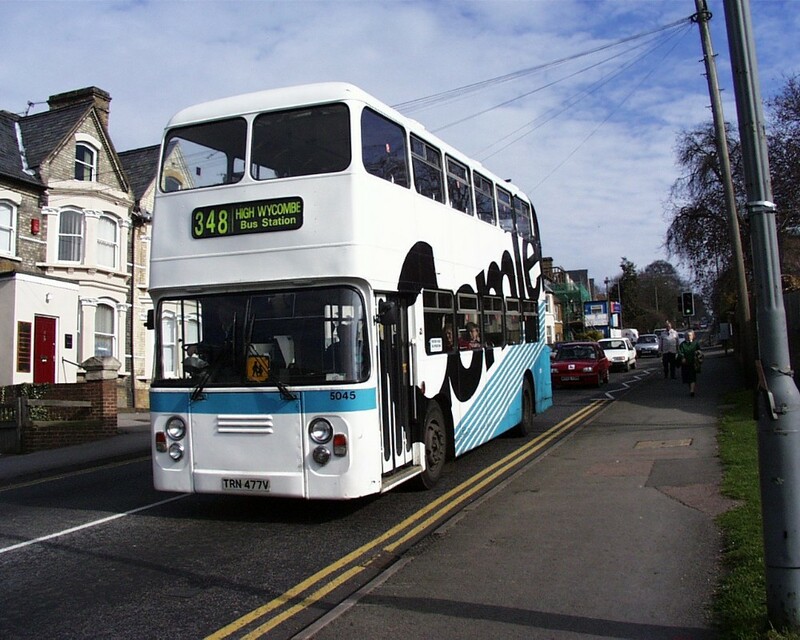 Reading Buses - Chris Mears liveried gas bus 422 on the 1 from Newbury to Reading, the date is April 7th by Bob Morley. Reading Buses Jet Black service 1 worked by Kennections liveried 1214 in Blagrave Road, Reading on April 7th by Bob Morley. 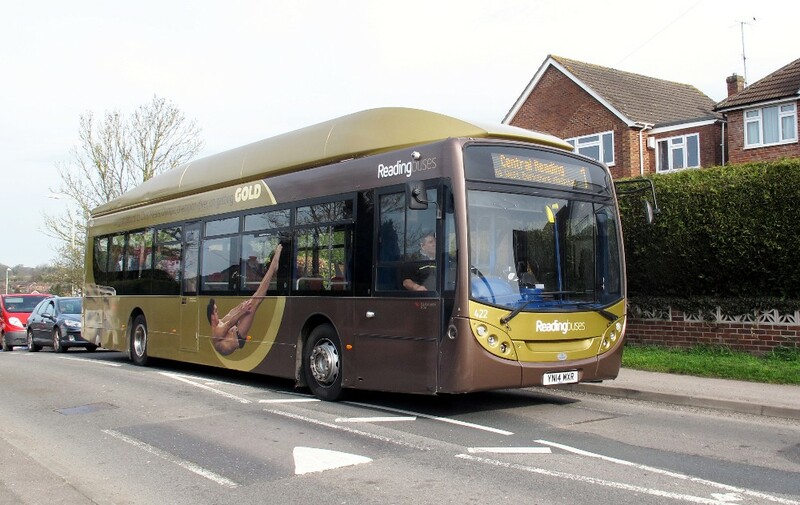 Y962KRX working the 306, this bus being new as Armchair for route 485 seen here in Wycombe on April 6th by Gavin Francis. Mention was made some weeks ago about three new classic E200s which were delivered in white. 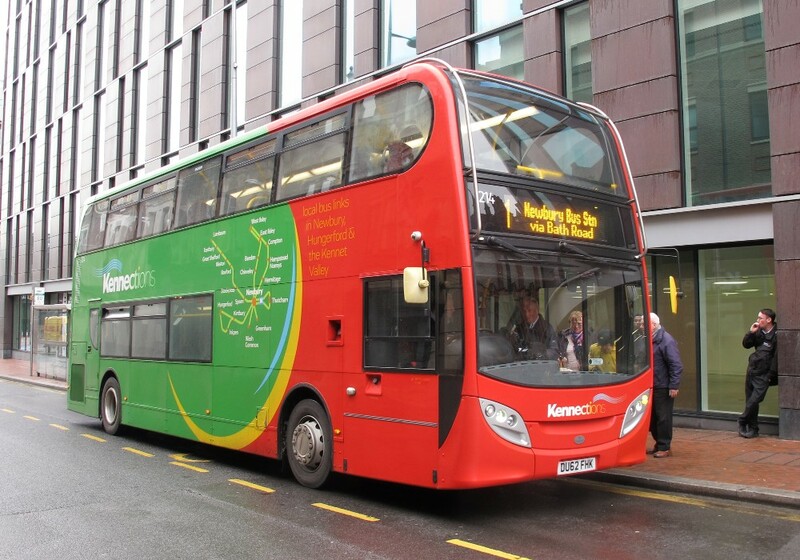 These are now working the W30 in Watford in a green livery as shown below. YK18KOU in green for the Watford W30 on April 6th by Nick Cherry. I can't see any fleet number? 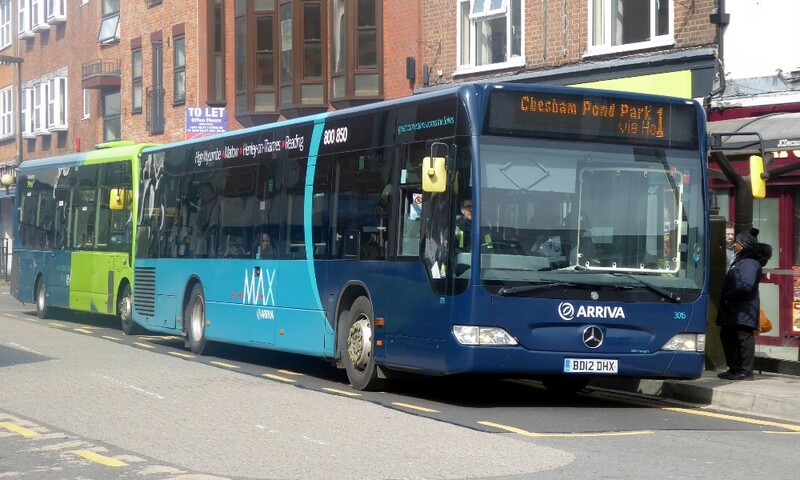 These three are withdrawn and are for sale following the arrival of the three new buses. They are T375JJC - R445LGH - BX56XAH, the last mentioned being a favourite of Nick Cherry and sometimes to be seen on the 275. 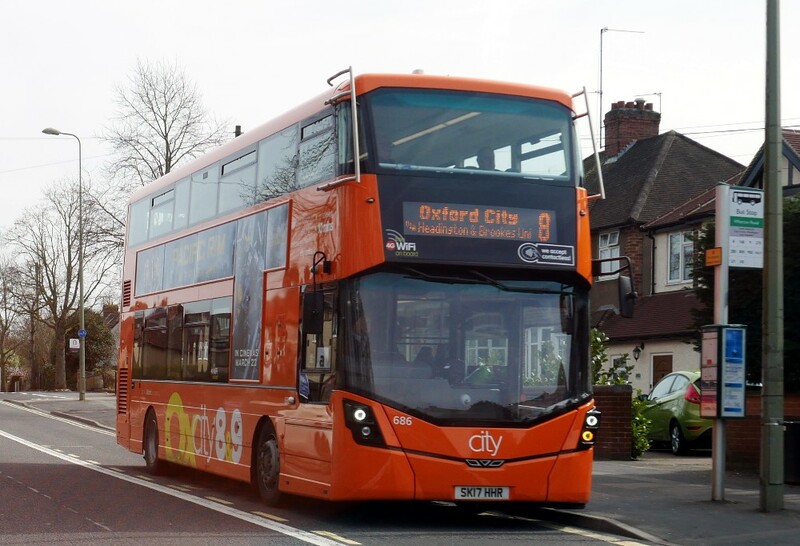 Nick's regular bus, E1RRT, is seen in Headington overtaking Oxford's 70 on April 6th by Malcolm Crowe. 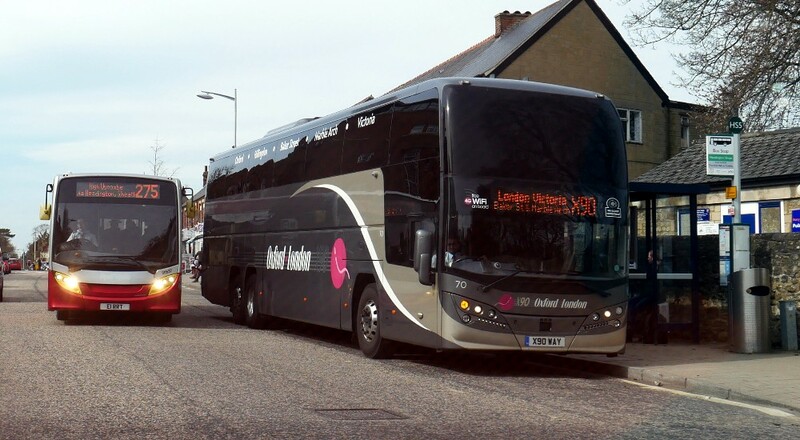 Ralph Adams advises that a double deck was seen on the 14 to JR on Thursday– first time that he had noticed this, as it is normally a single deck route. Wonder which bus that was? 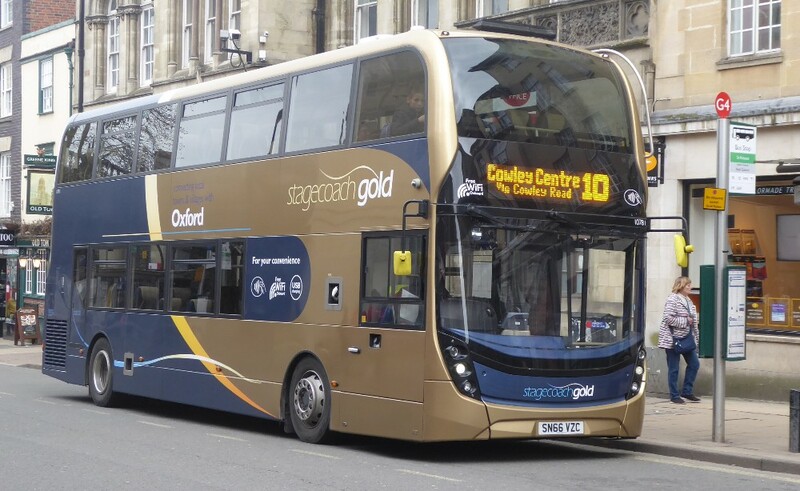 Gold MMC 10905 appears still to be in service at Oxford. E200 36927 working the 900 hospital service arrives at Thornhill Park & Ride on April 6th by Malcolm Crowe. London passes Oxford 50280 and 50266 and Oxford passes London 50284 and 50264 all in Thornhill on April 6th by Malcolm Crowe. Now entering their 4th year these coaches still look very smart. Unexpected luxury on the 10 was seen when Gold 10781 worked the route on April 7th and seen by Gavin Francis. Oddly Red Line SN51TCJ works the Vale Travel 27 in Wycombe on Arpil 6th by Gavin Francis. 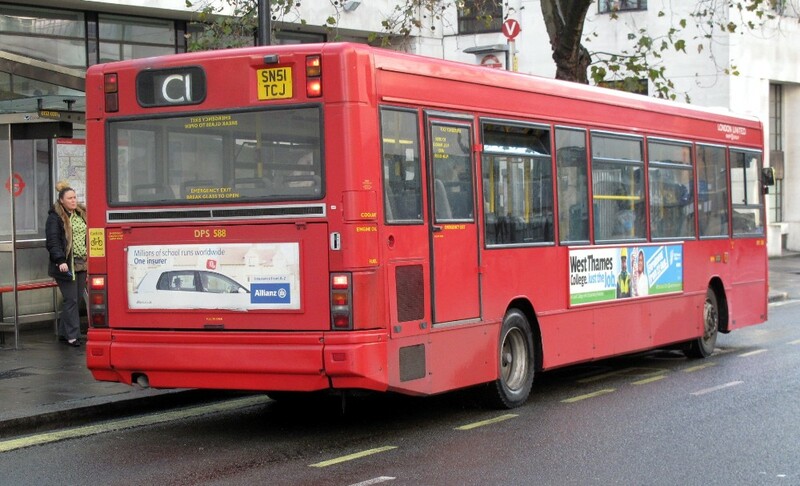 This bus has a history as Gavin's pictures show. 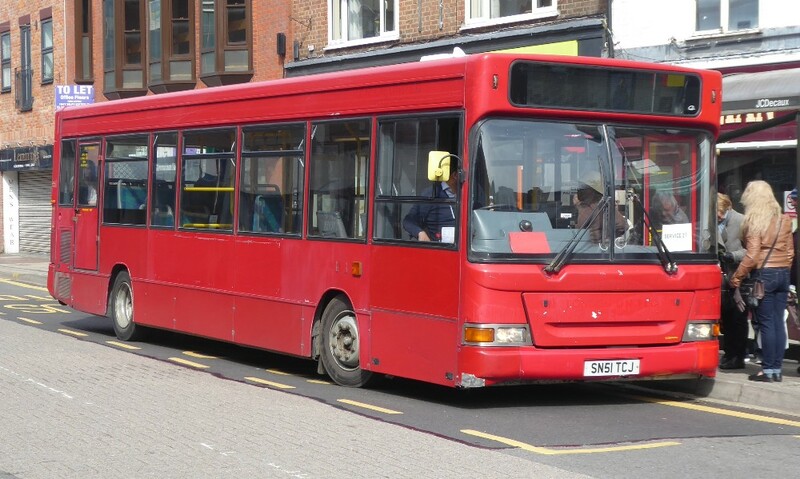 When with TRANSDEV as their DPS588 seen in KINGSTON BUS STATION on June 20th 2007. 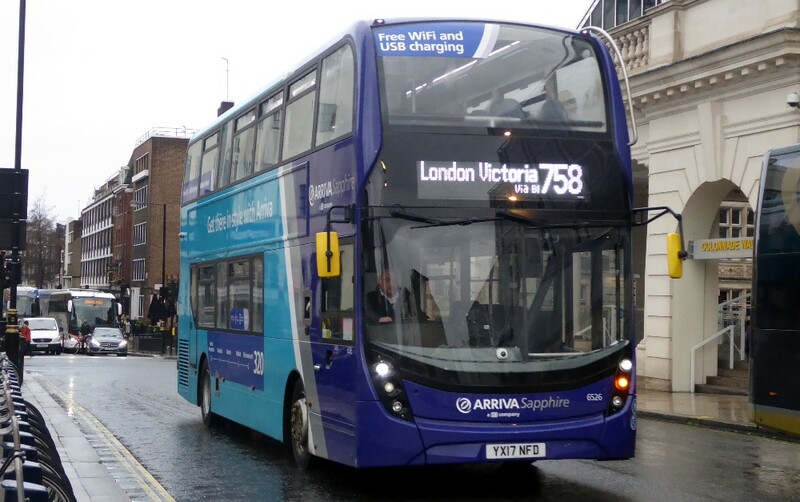 And then with London United as their DPS588 on Buckingham Palace Rd, Victoria on November 18th 2014. Follow the menu on the left for other pages and the index.